A video sharing website is a platform that allows you to share multiple videos at once and also watch videos online. Have you decided to start a website like that? 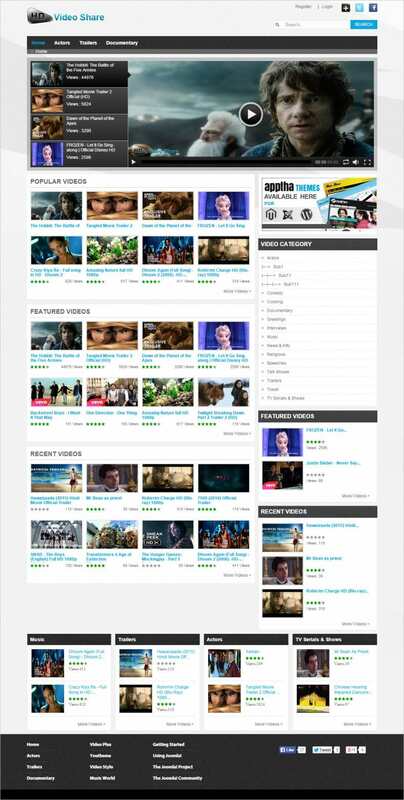 Then you need to get your hands on some amazing video sharing website templates specifically designed for the purpose. The templates that you’ll find here all have a responsive and a user friendly layout which makes them easily accessible as well. So what are you waiting for? You can also download Amazing Joomla Templates for video sharing websites. Set up and installation instructions provided when you download the template. This is a great template for a video sharing portal. You must have visited YouTube before. If you liked their layout, you’re going to love this because this template has been kept simple and neat. 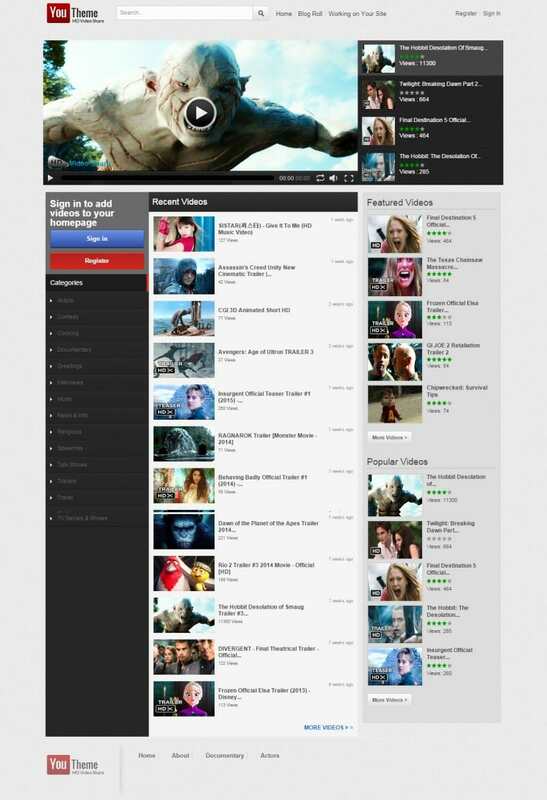 It is devoid of excessive design which makes it really popular amongst all video lovers. The uncluttered layout is sure to be appreciated by everyone. If you’re actually starting a video sharing portal, then you must be having a gallery page. 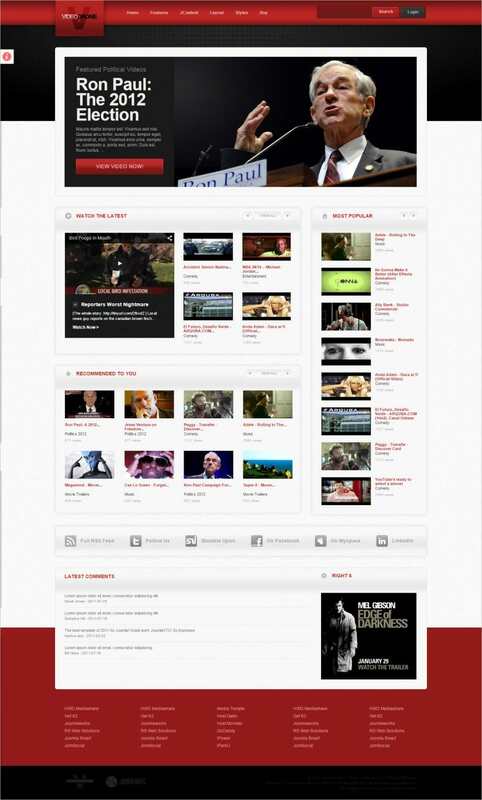 This page would display all the videos that have been shared on your website. Also, it would make it easier for the users to see your videos and even share them. To create a gallery page for your website, you can use this template. This Joomla template for a video sharing website has been kept simplistic and devoid of loud design. Given its minimalistic design, the template emphasizes most of your attention on what’s important – the videos. This particular templates keeps it all about the videos with its no nonsense look. Plus, the simple background provides quite a contrast. If you’re talking of functionality, it would have a gallery, forum and blog. The first thing that strikes you about this Joomla template is that it has a minimalistic look. Any design that is not necessary has been eliminated and all that remains is a smart, simple layout. It consists of a clean and tidy interface which is a must if you’re starting your website. No user would appreciate a clumsy layout in a website as technical as this. If you want something elegant and classy, this Joomla template would be the perfect choice for you. After all, what could be more elegant than something in black and white? 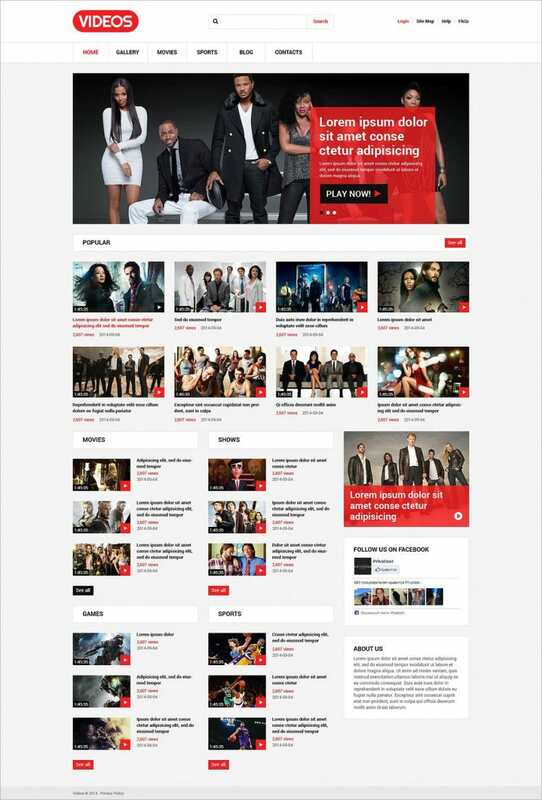 The black and white layout certainly stands out from the colored ones and uniqueness is what attracts users. So if you want to do something unconventional, this is the template you should go for.